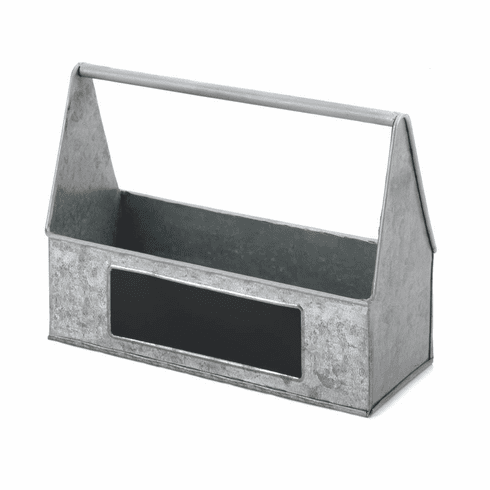 A great summer accessory, this galvanized metal picnic caddy will make it easier to enjoy dining outdoors. Perfect for barbecues and picnics, this caddy can easily store condiments, napkins, drinks and more. The chalkboard label adds a special touch for when you're entertaining guests. Weight	0.6 pounds. 10.2" x 3.75" x 7". Tin. UPC Number: 849179037574.